The index opened strong but saw profit booking at higher levels to close the day in red at 8917.95, small loss of 25.05 points. The broader market was flat with 806 advances to 816 declines. Range now at 8600-9000. 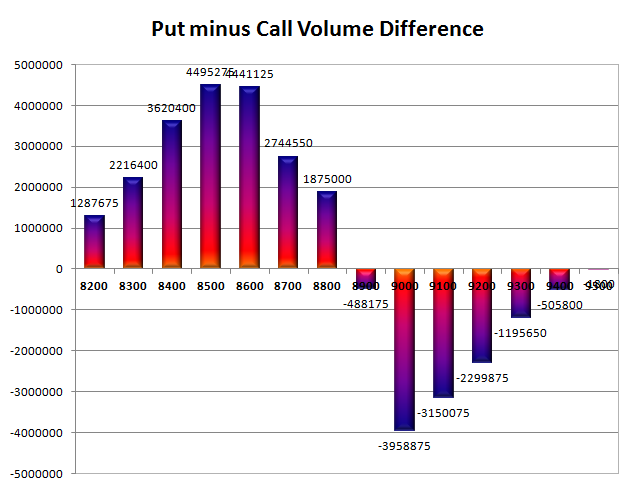 Call option 9100-9400 added 8.15 lacs OI with short covering at 8800 and below strike prices. Put option 9200-9100, 8900-8700 added 11.70 lacs OI with profit booking at 8600 and below strike prices. Nifty Open Interest is at 3,40,04,400 up by 1,08,825, with decrease in price, probably short build-up. Bank Nifty Open Interest is at 29,04,080 down by 52,840, with decrease in price, probably long liquidation. FII’s sold 341 contracts of Index Futures, which includes net 2669 contracts long build-up and 3010 contracts short build-up, with increase in net OI by 5679 contracts, includes 32613 longs to 32954 shorts for the day. FII’s Index future open contract as on date is 408495 Longs to 49447 Shorts, Net long 359048 contracts. 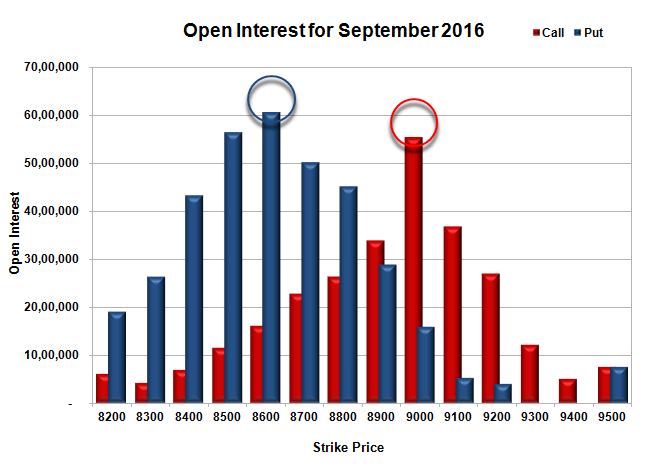 Initial support now at 8900, with OI of 28.97 lacs and below that at 8800 with OI of 45.10 lacs. 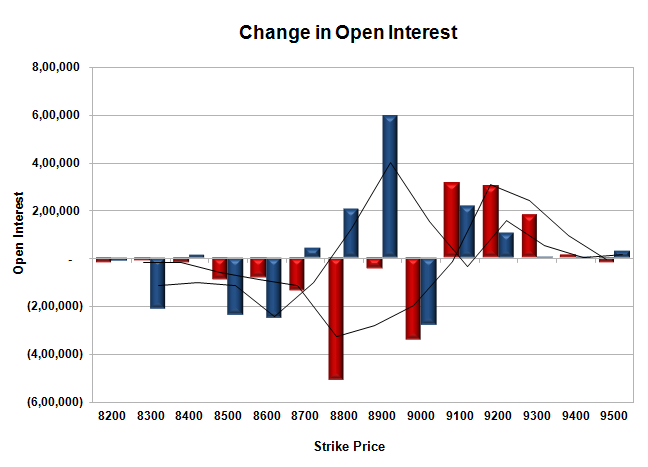 Initial and best resistance still at 9000, with OI of 55.45 lacs and above that at 9100 with OI of 36.88 lacs. 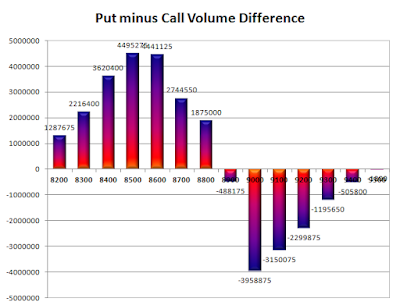 Day Range as per Option Table is 8869 - 8987 and as per VIX is 8857 - 8979 with 8933 as the Pivot.